Join a fun informal day out in the country. 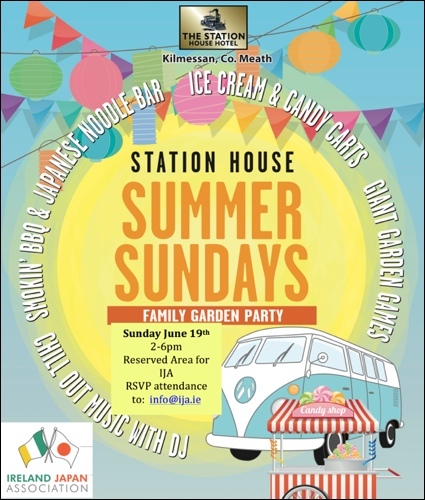 The Station House Hotel has launched a Summer Sunday Garden Party with Japanese Yakisoba and Karaage ont he menu as well as traditional Irish BBQ! The perfect way to spend these brilliant sunny days. Relaxed atmosphere and great food await! Cost: Free but you pay for your food and drink on the spot. Main course foods for 10 euro. We look forward to seeing you and your family and friends on what promises to be a great day out!